It's the season for giving and regional carrier U.S. Cellular is doing some giving of its own by giving away the Huawei Ascend II. Actually, you will have to lay out $100 which you get back in the form of a mail-in rebate, and you will have to put your John Hancock on a two-year contract. This is not your high end Android 4.0 model to be sure, but considering the bottom-line price, it seems like a good deal for U.S. Cellular customers. Just to refresh your memory, the Huawei Ascend II comes with a 3.5 inch display with HVGA resolution. A 600MHz single-core processor is under the hood with 256MB of RAM on board. A 2 GB microSD card comes on the unit out of the box, and the device accepts up to 32GB of additional storage. A 5MP camera is on the rear while Android 2.3 is pre-installed on the phone. 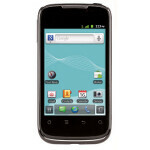 Besides the Huawei Ascend II, U.S. Cellular is also offering the Samsung Repp and the HTC Wildfire S (in Grey) both for free after a mail-in rebate and a signed two-year pact for each model. Like the Ascend II, these are not your top of the line, dual-core models. Still, for those just moving to a smartphone or are forced by economic realities to pay as little as they can for a new handset, you could do a lot worse than these models.